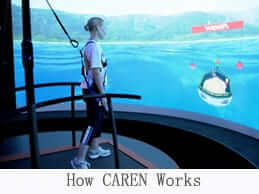 We are very excited to announce that we have finally adjusted our CAREN system to the brilliant software application invented by world famous scientist Van den Bogert .HBM diagnostic and feedback capabilities brings cutting edge analysis and treatment to all our patients who suffer problems in the lower extremities and low back pain. 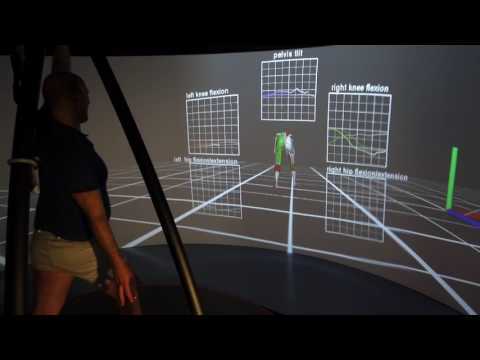 The HBM have been developed as a system that performs a full biomechanical analysis of human movement in real-time. The analysis that is performed by the system is identical to existing approaches for inverse kinematic analysis ,inverse dynamic analysis , and muscle emg. 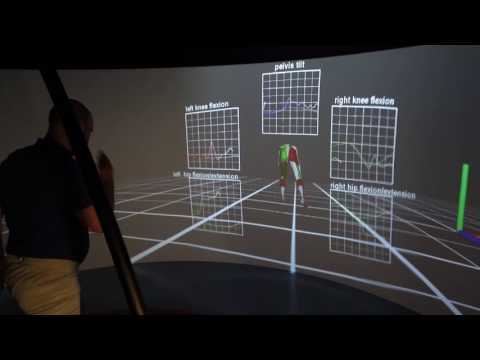 We have developed a system that performs a full biomechanical analysis of human movement in real-time. The analysis that is performed by the system is identical to existing approaches for inverse kinematic analysis ,inverse dynamic analysis and muscle force estimation .The real-time performance is not achieved by simplifications of the model or the analysis, but by several innovations in computational methods to solve the analysis. Intersegmental forces and moments are useful for orthopedic questions related to joint injury. 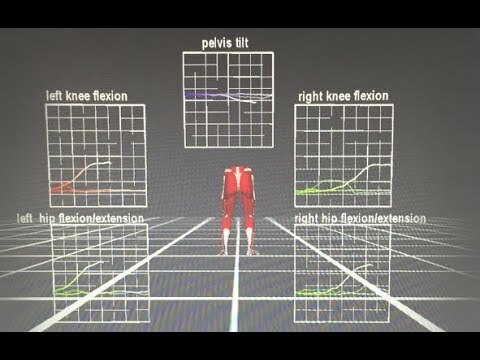 We have not yet implemented this for all joints in the model, but we do have this information available for the knee joint , where these variables have been shown to be relevant to the risk of ACL injury and progression of osteoarthritis .The ability to calculate knee joint loads and provide feedback on these variables in real time can help athletes and patients modify these variables via gait retraining exercises . AT NYDNRrehab using HBM we have developed intersegmental joint load analysis and -phase by -phase gait retraining therapy. We are currently working on syncing this information with surface EMG and COP excursion data. We are very excited about the diagnostic and feedback capabilities it brings to our patients who suffer problems in the lower extremities and low back pain. We’re the only private clinic in the US using a Computer Assisted Rehabilitation Environment—a state of the art rehabilitation technology developed for the military. Traditionally, physical therapists taught healthy movement by demonstrating a motion, then correcting patients as they repeat it. At our clinic, patients interact with a virtual reality environment while CAREN captures their motion with 12 infrared cameras and provides real-time feedback. By removing human error from physical therapy, we save time and can deliver unparalleled results. Mechanical forces are invisible by nature. Normally we can only see the results of the forces applied to the surrounding world and estimate, with a degree of certainty, their point of origin, vector and the point of impact. When dealing with simpler moving machines, this evaluation method may well be sufficient and a little fine-tuning would bring the mechanism to an acceptable degree of precision. Not so with the human body, where a faulty movement could quickly lead to complications and the lack of replacement parts would command a slew of unpleasant consequences. Force distribution management must be quick and precise. 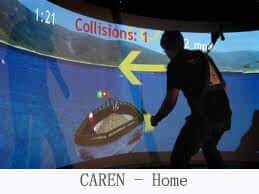 This goal is attainable now with Human Body Modeling (HBM) software. HBM makes it possible to visualize muscle forces generated in the human body while the patient is moving. The forces’ transference in the human musculoskeletal system is clearly shown on the monitor. The real-time process shows muscle forces and joint torques as 3-D visualizations of color and form changes in an accurate 3-D human body muscle model. This allows the expert practitioner to determine at a glance the magnitude of the problem and devise corrective measures with a scientific precision. Balance compensation anomalies and related postural stability problems. Gait problems arising from inefficient muscle use. Early identification of degenerative muscular conditions and dysfunctions. Muscle force distribution visualization for detection of core stability problems. Means of identifying neural substrates of task difficulty and cognitive effort. Muscle recruitment and control in hemiparesis, TBI and neglect patients. Early identification of dystonia, possibly due to cp (involuntary contractions). Early detection of muscular dystrophies (i.e. ALS, MS). Understanding balance compensation strategies and control mechanisms. Explorations of the muscle forces interactions with spatial environments. Better understanding of sensory inputs & motors in posture and motion. Muscle imbalances in athletes with recurrent injuries. Identification of technique deficiencies and performance inhibitors. Well timed protective extensions, reactions to perturbations. Improving control of weak muscles, timing of muscle groups activity. Muscle coordination and strength with amputees and joint replacements. Rehabilitation and training of Osteoarthritis patients. Training for core stability control and improvement. 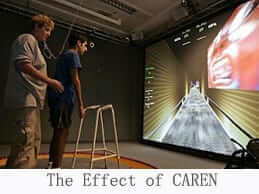 Neuro rehabilitation (spinal cord injuries and diseases, paresis, TBI, neglect). Prosthetics fitting and dynamic alignment. Post-surgical knee rehabilitation, ACL reconstruction and squat exercises. Hamstrings/quad ratio assessment and training. Rehabilitation of athletes with recurrent injuries.